The IWW often receives enquiries asking us what a ‘Dual Carder’ is and what they do? Dual-Carding is a long standing phenomenon within the IWW with a large percentage of our members coming under this classification. A “dual-carder” is a member of the Industrial Workers of the World union (a “Wobbly”) who also holds a membership in another trade union in the industry that they work in. This trade union will typically be the recognised union for that workplace, site or sector. What does a “dual-carder” do? Work with other dual-carders, rank-and-file activists and shop floor reps across their industry to build co-operation and solidarity in order to coordinate the fight for improvements in pay and conditions and greater power and control at the shop floor. Maximise the transformative capacity of their existing trade unions branches by building or encouraging existing participatory and democratic structures within them. Share skills, tactics and strategies with workmates in order to build capacity to campaign, use direct action, represent workmates and comprehend the legal framework from the shop floor. Identify non-unionised areas in their workplace and where possible encourage membership in those areas in either the IWW, or the most relevant TUC trade union. Encourage other members of their trade union who sympathise with this view to join the IWW, without sacrificing their membership or activity in their TUC trade union. Seek to create spaces within, or parallel to trade union branches, where members can discuss issues relating to their union, their workplace and community, and political alternatives and solutions to the problems they face. Support and encourage all efforts within the existing trade union movement for workers to exercise control over the direction of their union and their collective action. What does an IWW “dual-carder” seek to achieve? 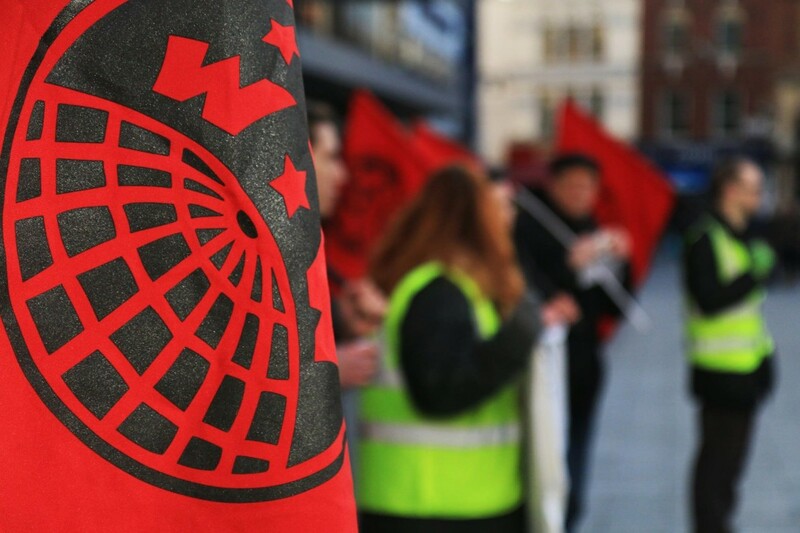 To act as a collective body within an industry in using the IWW as a vehicle to build connections between unions within the same workplace, and between workplaces in the same sector that are covered by different trade union contracts (which undermine the basis of industrial solidarity). To promote industrial and collective solidarity as the most central and important principle of union activity and over factional or electoral interests within the trade union movement. Act to make the workers’ movement to be more in line with the “One Big Union” ideal – a reformed, democratic, inclusive, fighting and winning union movement. Develop and encourage in all workers the capacity to take the struggle for their conditions into their own hands, shift the balance of power in their workplaces and, ultimately, to exercise democratic control over the economy at the point of production, distribution and consumption.